Venue: 42nd Street room, Rydges Melbourne, 186 Exhibition Street, Melbourne 3000. HISA in partnership with TriNetX invites you to attend an exciting breakfast presentation and networking opportunity. We welcome some leading experts in bio-informatics and medical informatics to present on latest work and research in automating clinical trials, international data linkage and connecting like-minded organisations and clinical researchers. This breakfast session will explore the topic of a data driven approach to research in the precision medicine era. It is a great opportunity to meet and hear from Dr Jack London, from Jefferson University, Philadelphia, who will present and discuss emerging industry trends and latest work in automating clinical trials, international data linkage and connecting like-minded organizations and clinical researchers. Dr Jack London from Jefferson University Philadelphia, a leading expert in bioinformatics and recognised for his work in cancer, pathology and data analytics will present on the latest in automating clinical trials and practicalities in having a data driven approach to research and precision medicine. Mr Jim Whelan (USA) – International Business Development TriNetX – Update on international trends, examples of overseas collaborations, emerging technology trends. The presentations will focus on the practicalities on automating clinical trials, getting the best out of your data to support research, and bringing together collaborations with hospitals, research organisations and industry. How do we understand the practicalities of bio-informatics, medical informatics and genomics in an era of precision medicine? How do you wrap your arms around your clinical data to get the best value for research and decision making? How do you automate clinical trials to fast track research and better identify target patient cohorts? How do we link research up with other like-minded groups? How do we best bring together collaborations together with hospitals, government, research organisations and industry? Jack London, PhD, is a Research Professor of Cancer Biology at Thomas Jefferson University, and Informatics Director at Jefferson’s Sidney Kimmel Cancer Center. 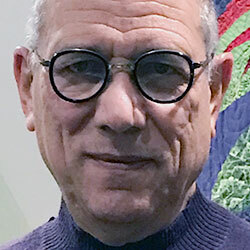 He has been engaged for over 40 years in biomedical informatics research in the domains of bioinformatics, medical informatics, and health care information technology. This work has encompassed: computer simulation of biochemical systems, radiology image archiving and communications systems (PACS), hospital information, clinical trials management and telemedicine systems, and tissue banking applications. His focus in recent years has been on pathology and research data analytics (warehouse, data mining). A current project integrates clinical, biospecimen, genomic, and cancer registry data to support researchers in hypothesis generation and cohort definition, including predicting patient accrual to proposed clinical trials. He has served on a number of NIH study sections, and is a member of the i2b2 Foundation board of advisors and the Cancer Informatics for Cancer Centers (CI4CC) organization leadership. 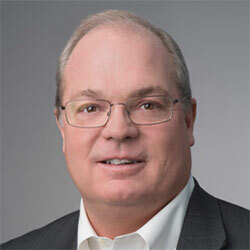 Jim Whelan leads business development and sales for TriNetX internationally. He has worked for a number of organisations within healthcare IT for over 20 years, including lifeIMAGE, Imprivata and Institution for Health Metrics. He holds a BA in business administration from Northeastern University. Jim’s work takes him across the world which provides the opportunity to see and comment on different research collaborations, applications of technology and practical case studies. This event is complimentary – please register soon for this unique breakfast as numbers are limited. We look forward to welcoming and seeing you at the event.